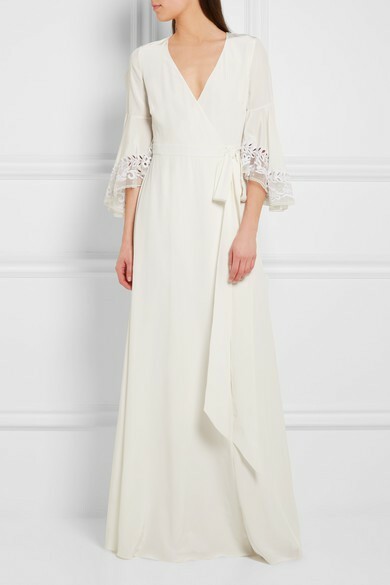 This gorgeous Temperley dress was bought at a Temperley sample sale for 800 GBP. I had a change of heart, opting for a very different style and model instead, so it has never been worn. Very elegant, extremely comfortable, crafted from 100% silk crepe de chine with a 100% silk satin reverse, it feels beautifully smooth to wear. It has embroidered tulle-trimmed 3/4 fluted sleeves embellished with beading and a wrap silhouette that defines your waist: a perfect choice for a boho wedding! Once you send a message, Ewa can invite you to purchase the dress.